Energy savings are becoming a prime consideration for home owners today – both for environmental and financial reasons. Therefore, it’s worth knowing which of the many electrical appliances you run in your house on a regular basis are using the most and the least of your energy supply – and your utilities budget. Which of Your Home Appliances are Eating Up the Most Energy? 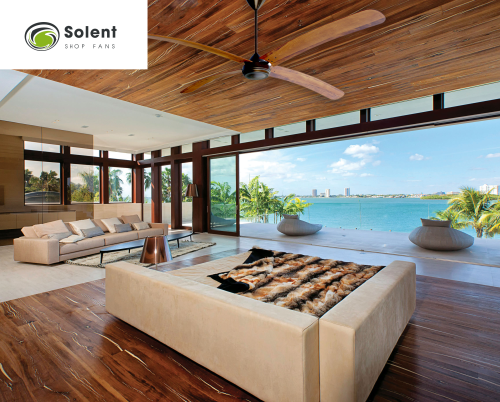 While Solent’s speciality is energy-efficient fans, we can help you develop and apply a more energy-conscious approach to all aspects of your home. To help you, we have compiled a list of the least and most energy-efficient appliances you have in your home right now. There’s a reason why electricity usage across the country goes up in winter. Electric heaters are not made for their energy-efficiency. In fact, their very purpose demands that they have a certain degree of inefficiency, added to which, users tend to keep them burning for extended periods of time. Electric stoves and ovens fall into this category as well. While figures for South African households are not known, it is estimated that the average American household spends around $600 a year on heating. Along a similar vein, devices that are designed to cool your home consume almost as much energy as heating appliances. Air conditioners and refrigerators use between $200 and $500 per year. While there is surely wisdom to your parents’ tendency constantly exhorting you to switch lights when you were young, to keep the electricity bill down, the truth is that light fittings use a relatively small amount of energy. Keeping them burning for extended periods of time may be wasteful but it makes little difference to your energy consumption in the long run. This is especially true with new fittings and energy-saving light bulbs. The screens in our homes are possibly the most energy-efficient devices we have. Even with desktop computers that are plugged in and running for extended periods of time, the energy draw is relatively minimal. One appliance that absolutely doesn’t have to be energy hungry is a high-quality ceiling fan. Take a look at our range to find just the right fan for you.